Is Universal 2.1 a "TYPICAL" trading system? Not really? 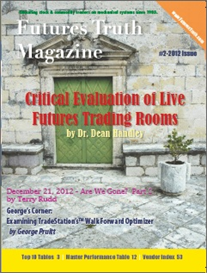 It fills a void in publicly offered trading systems. Most systems are either long-term or day-trade. Long-term systems require large moves which only happen about 15% of the time. (Most) Day-trading requires constant intraday monitoring (NOT our daytrade system!). Universal is a swing-trading sytem which focuses on 2 to 5 day moves which can happen all the time. 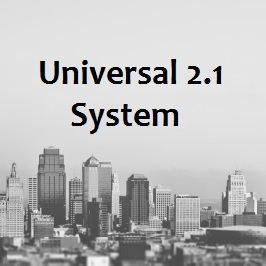 Universal 2.1 is now available with 2 NEW features to increase profitability. The first is a TREND FILTER. Trading with the Trend has never been easier. Our new trend filter tries to identify the long-term trend and capture short-term profits in that direction. The second new feature is a "PULL BACK INDICATOR." How many times have you entered a trade on a big breakout only to see that big breakout pullback for several days. Sometimes, even knocking you out of the trade only to see the market then continue to move in the direction of the breakout. The new filter in Universal 2.1 makes the market pull back from the big move extreme before it enters a trade. Never buy the top of a move again. Never sell the low of the move again. It can be easy to make money in trending markets. The key is to NOT give back the profits when the congestion invariably starts. 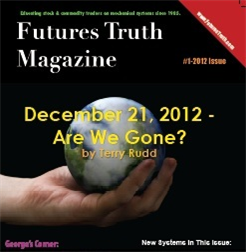 Most long term systems get clobbered in congestions. Too bad. Because let's face it, markets can be in congestion 50 to 80% of the time. They aren't designed for short term swing trading. Universal was. 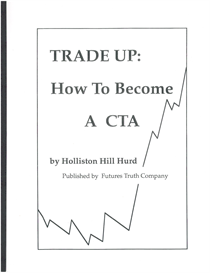 My father, John R. Hill, believes the best money is made by trading the 2 to 5 day moves. That's the way he designed Universal in 1991. That's the way this current version works. It's average trade last only 3 or 4 days.